Hello, friends, today Ravanchal.com will help you to choose the good smartphone brand between Honor and Xiaomi. Much Chinese companies coming to India to catch the big market but people are confused that which company is best in the smartphone. 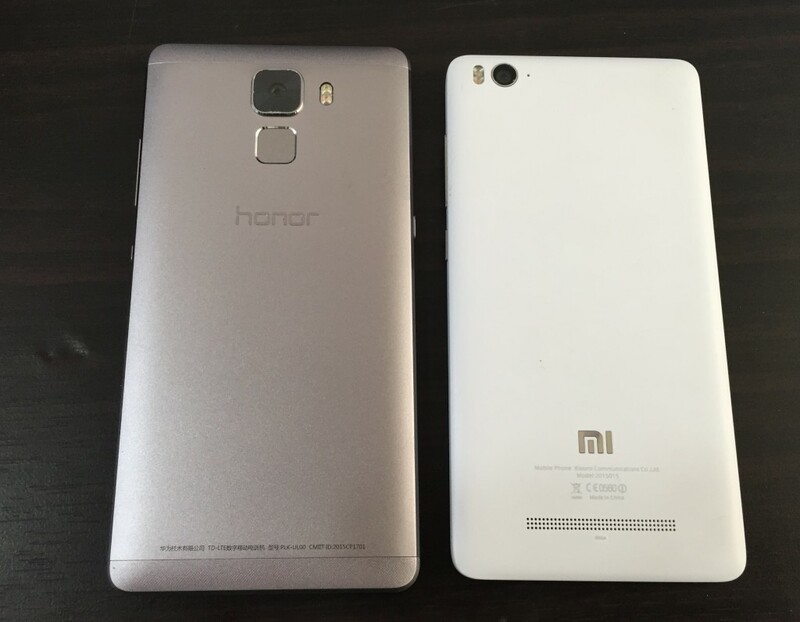 In this post, you will get your answer to choosing the phone between Xiaomi and Honor. Let’s discuss in detail about the history of the company, Product manufacturing, Consumer service, and future of both companies. Company History: Company history really makes a good difference and good comparability for any product let’s discuss in detail study of Honor and Xiaomi history. Honor History: Huawei Honor is a telecommunication multinational which is founded 28 years ago. It specializes in the manufacturing of telephone network equipment. Honor valued at over $47 billion, initially sold the phone through mobile, operators, as ti had close relations with the service providers, But not it has taken their own distribution network in each of their markets. Now, it primarily operates in the budget premium and above category, with products such as the Honor 6, Ascend P7, Honor 6 plus, etc. Xiaomi History: If we talking about the history of Xiaomi, it founded just 5 years ago, markets itself as a mobile internet company, seeking to build an ecosystem with Mi smartphones at the center of it. Xiaomi has been using their much-hyped MIUI, which seems like an iOS knockoff. It has entered numerous markets and has confusingly large product. It seems to operate in every mobile phone category. It marketing only consists of creating an artificial dearth of products and selling them in their trademark flash sales. Huawei Honor, apart from their telecommunications equipment, sells smartphones. The Honor Holly, Honor 4x, Honor 6 and Honor 6 plus and so on. It developed their own processing units to surpass those available in the market. Honor 6 plus has the honour of having developed the first dual-parallel camera phone. Xiaomi has a few hugely successful mobile phones. such as Redmi 1S and the Mi3 in India. it launched the Mi4 here six months after its launch in China. Apart from mobile phones, Xiaomi has vast product manufacturing such as Mi WiFi Mi TV, Mi Box, Mi Cloud, Mi Talk, blood pressure monitors., air purifiers, webcams, cameras, and strangely weighing scales. You can say that it is difficult to understand where exactly Xiaomi wishes to focus. Consumer care service: Customer service is one of the most important aspects of any business, and mobile phones are no different. Any brand of the loyal customer when you see how many service centers they have. If we talking about Huawei, it has over 150 authorized service centers across the country. While Xiaomi has under 70 service centers across the country. Future In India: Many smartphones company comes to India as well as leave the Indian market. If we talking about the future of Xiaomi in India, it looks bleak, as the Delhi High court banned it from selling phones as they are suspected of violation Ericsson’s patents. The Indian Air force has also stated that Xiaomi phones are a national threat as they send personal data to an agency of the Chinese Government. outside of the Chinese Government. Huawei Honor is currently the largest telecommunications equipment manufacturers in the world, and it aims to replicate that success with Honor. I think you will understand that which company is best. This post is not promoting any smartphones company. Thank you for being with us, leave your comment below.